Rux Martin/Houghton Mifflin Harcourt, 9780547724249, 496pp. "Acclaimed author Greenspan—who lives part time in Paris and has collaborated with such famous chefs as Pierre Hermé, Daniel Boulud, and Julia Child—has learned that some recipes are best left to the pros. 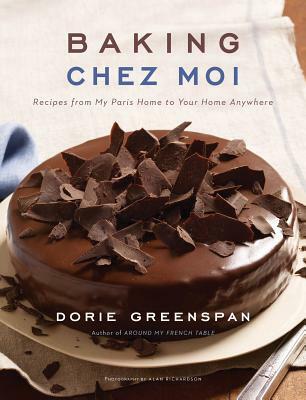 While several of Greenspan's 11 cookbooks feature intricate, show-stopping desserts, her latest focuses on homey baked goods and pared-down versions of traditional French pastries. Home cooks won't need beeswax and expensive copper molds to make Greenspan's canelés nor will they be chided for using store-bought puff pastry to make palmiers or pithiviers. All types of desserts—crunchy, creamy, cakey, frozen, fruity, and fried—are included, as are simple accompaniments such as homemade crème fraiche, chocolate sauce, and candied fruit. VERDICT: Combining everyday desserts with doable versions of extremely popular treats (think macarons, éclairs, and crackle-top cream puffs), Greenspan's new collection is an instant classic."